The New & Improved! 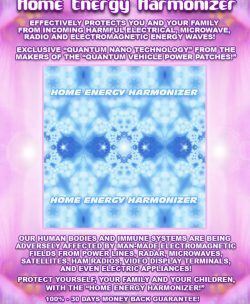 ~ Quantum Diamond Radiator Wellness Patches! 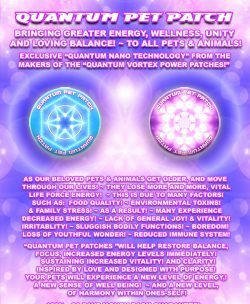 ~ 12 Quantum Wellness Patches! 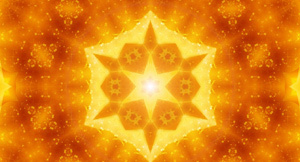 Working on a subtle energetic level within your body ‘Energy Grid Meridian System’ to help restore balance and focus! Bringing Greater Energy, Wellness, Unity And Balance To Your Whole Being. As we get older and move through our lives, we lose more and more of our vital life energy force. As a result many of us experience decreased energy, lack of focus, sluggish bodily functions, boredom, loss of youthful wonder, negative attitudes, lack or motivation and joy. Quantum Wellness patches will work with you to restore balance and focus. They will help increase your energy levels immediately, with increased vitality and clarity. 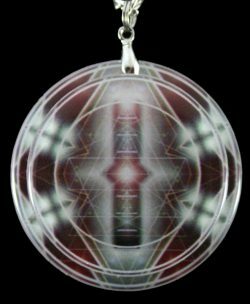 Inspired by love and designed and designed with purpose, you will experience a new level of energy, sense of well being and harmony within yourself. The Quantum Wellness Patches are designed to bring both hemispheres of your brain into a greater state of balance, to the highest level that your subconscious will let you do so. The effects of this typically take place within 3 mins to 48 hours, when this happens, all of your organs, hormones and endocrine system seem to work together more harmoniously giving your energy body a whole new bio-rhythm, and restore energy levels to the point to which they were when you were a young child, whilst opening your mind up to greater levels of well being, greater imagination and problem solving skills, increased physical strength, more focus, stamina, more calm, clarity, purpose, motivation, generally more positive, almost like a tune up, and many other amazing effects have been reported. 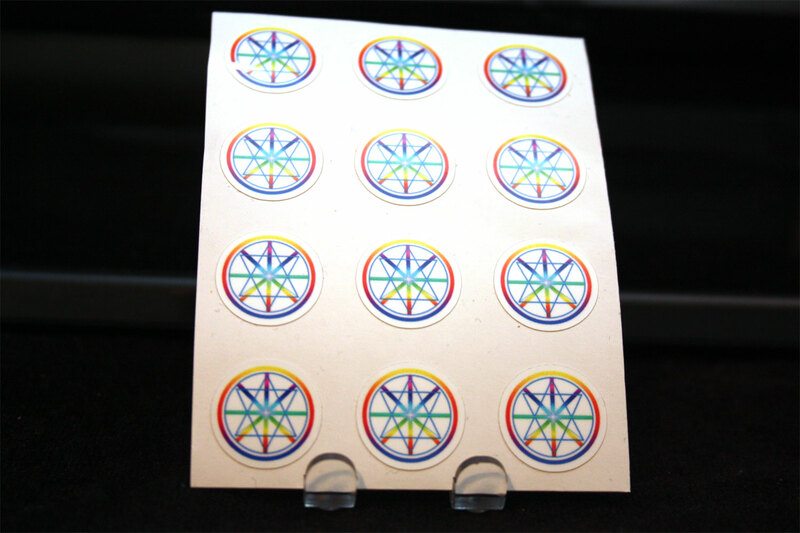 Quantum Wellness Patches are designed to be worn on the human body. Nothing is actually entering the body from the patches. 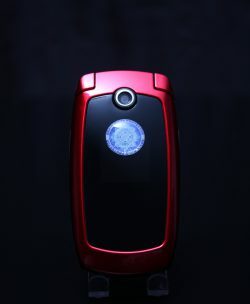 Communication is transmitted directly into the energetic structure of your being, using our exclusive “Quantum Nano Holographic Technology” without anything intrusively entering your body in anyway. The average person will immediately feel greater energy level and funny physical sensations, tingling in different parts of your body, warmth, heightened physical senses, vision, taste, touch, sound and other things. Each person has a unique experience according to ones own mind set. Contents: The New & Improved! 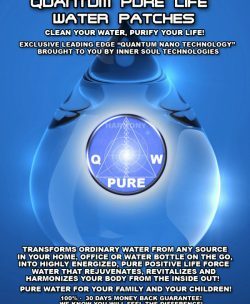 ~ Quantum Diamond Radiator Wellness Patches! ~ 12 Quantum Wellness Patches! Place One… Or More Patches Anywhere Upon Your Body… Your Arm, Shoulder, Leg, Back, Neck, Behind The Ear, Wrist, Feet, Groin, Knee, Elbow, Stomach, Chest … Anywhere You Want! Make Sure Where You Place The Adhesive Sticker Is Completely Dry Before You Apply The Patch. – The Patch Is Water Proof, So You Can Easily Take A Shower, Bath, Or Go To The Beach, Without The Patch Falling Off. – You Can Place More Than One Patch On Your Body At The Same Time If You Wish As Well. – In Different Areas… Or Symmetrically On Opposite Sides Of The Body … For Example – One On Each Shoulder.! New & Improved Stronger Adhesive Power On The Patches! ~ To Prevent Them From Falling Off! ~ One patch lasts between A few days, weeks, or even months at a time… or until the adhesive wears out and the patch simple falls off. ~ The energy is forever active, so if the adhesive backing wears out? ~ You can always tape the patch to yourself, and the patch will still be emitting the energy continuously. ~ Some people use a small band aid… or adhesive medical tape…. to tape the patch to your skin… if the original adhesive on the patch wears out. – The patches are 100% water proof so you can take a shower or bath with them no problem! – When you apply the patch… that the area to your skin… please make sure the area… Is dry & free of moisture! I am exhausted and that’s not good because I go to a second job afterwards. L H – “As soon I put the patches on, I felt like I was being lifted out of my head, and all the colors around me got brighter, and everything looked rosy like when I was a kid. Bring your energy and well being to a new level of experience! The Quantum Wellness Patches Never Stop Working!